Subaru of America is not only setting records with their 2018 Outback, Forester and Crosstrek selling at all-time highs, they made America's Most Reputable Companies 2018 list for the first time. New to the USRT100, the Japanese automaker earned a score of 76 putting them No. 45 spot on the list, making Subaru the highest-ranked auto manufacturer. The only other automakers to make the list were Honda ranked No. 79 and BMW No. 80. Since 2007, the Americas at the Reputation Institute has published the US RepTrak 100, an annual study of corporate reputation in America. To determine the USRT100, the institute surveyed more than 52,000 individuals from January to February 2018. Companies considered typically have revenue in excess of $3 billion and brand familiarity with at least 30 percent of the U.S. general population. Subaru connects with their customers who have active lifestyles, they are concerned about the environment, they love dogs, and they even reach out to the LGBTQ+ community with events like Dining Out For Life. 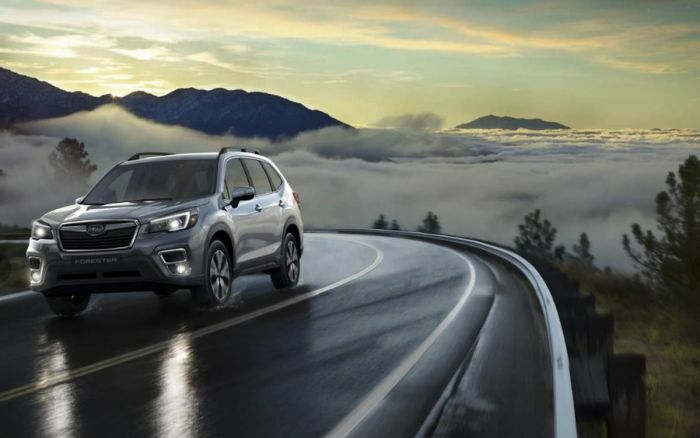 Subaru also connects with the causes many of their customers care about like the American Society for the Prevention of Cruelty to Animals, Make-A-Wish Foundation, Meals on Wheels and National Park Foundation. “It’s really redefining a car company and corporate brand as one that understands the pervasive goodwill and human society,” says Hahn-Griffiths. Subaru is pulling off what no other automaker has been able to accomplish. They stay connected to their loyal customers, they are attracting new buyers to the brand at an impressive clip and bringing out new products that are designed only for the U.S. market. Subaru just launched their new 2019 Ascent 3-Row Crossover that’s being built in the U.S. at their Lafayette, Indiana plant. Subaru understands their customer's values, and they have adjusted their marketing and the cars they build to reflect the things most important to them like safety. Subaru has an entire lineup of all-wheel-drive vehicles that every year score the highest safety ratings with the Insurance Institute for Highway Safety (IIHS). It’s another way Subaru understands what the American consumer wants. It also helps that cars like the 2018 Outback, Forester and Crosstrek have a ‘go-anywhere” attitude, are reliable, economical and fun-to-drive.